As many of you know who have followed my blog, WE MOVED! The house is beautiful, but it needs some pizzaz, you know...character, personalization...you get the hint. I WISH I was better at taking before pictures. The boys room was a periwinkle color. Not bad, but not for my boys. I wanted to make them something modern, different, but classic. Here is a couple pics of what I did with the space! First, my helpful hubby painted the room white. Next, I used my handy dandy Black and Decker Laser-level. This clever tool allows you tape off the stripes using the laser it projects onto the wall. Best part, they are level! I found these cute headboards off Craig's list for $35.00!!! What a steal! I love how classic they are! The boys had these canvas's from our old house, but they were the wrong color. I quickly painted them and added the vintage star to the center. 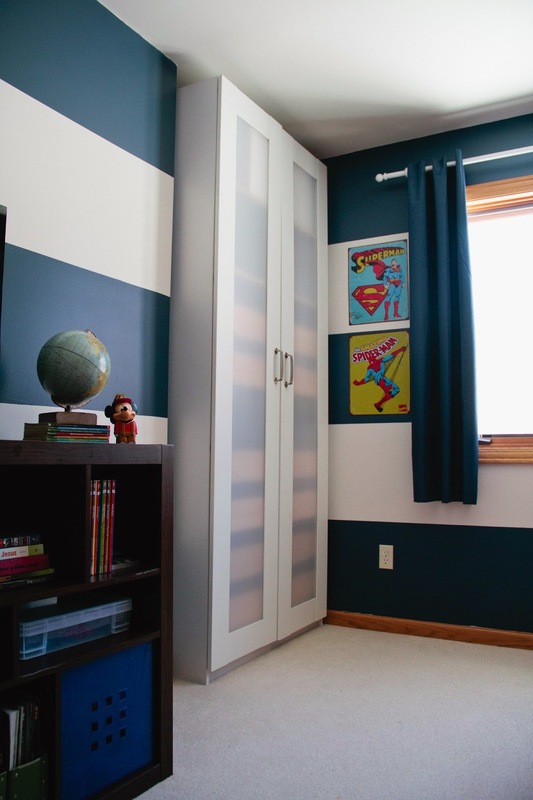 There was a weird nook in the corner of the boys room, so we put this awesome wardrobe piece from Ikea that happens to fit perfectly AND it's an amazing dresser for both boys! A quick run to Target and I scored the most awesome pillows and bedding!!!! I happend to be at Tj Maxx on the right day apparently and scored these orange locker nightstands!! A light from Ikea, and some cool vintage superhero tins from Here…. And Voila! You're done!!! What do you think?? This project was super easy...and FUN! Best of all, the boys LOVE their new space! Linking up to Best of the Nest! Go check out some other amazing projects! Very cute! Can you say that for boy's room? The light fixture is so neat. Perfect!! Simple, and those headboards - what a bargain! 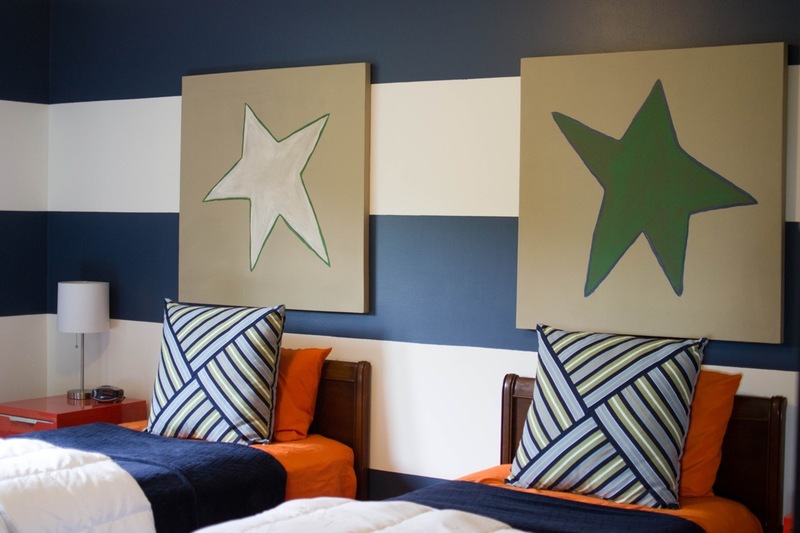 Love the stripes and the star canvases. Great job! Visiting from The Best of the Nest! Thanks for your kind words and for visiting Denise! 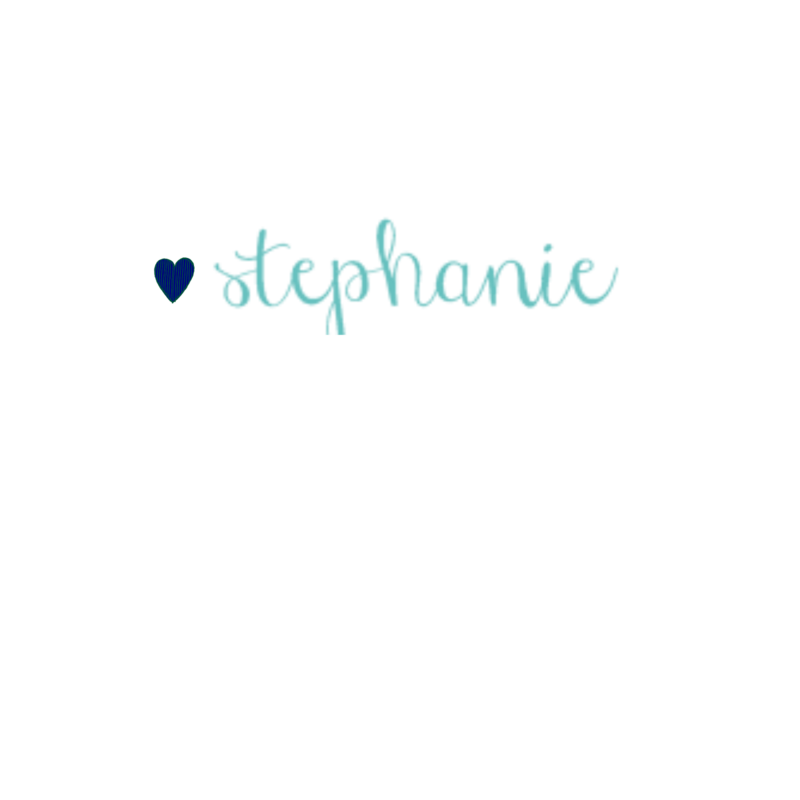 Stephanie, you've created such a fun space for your boys!! 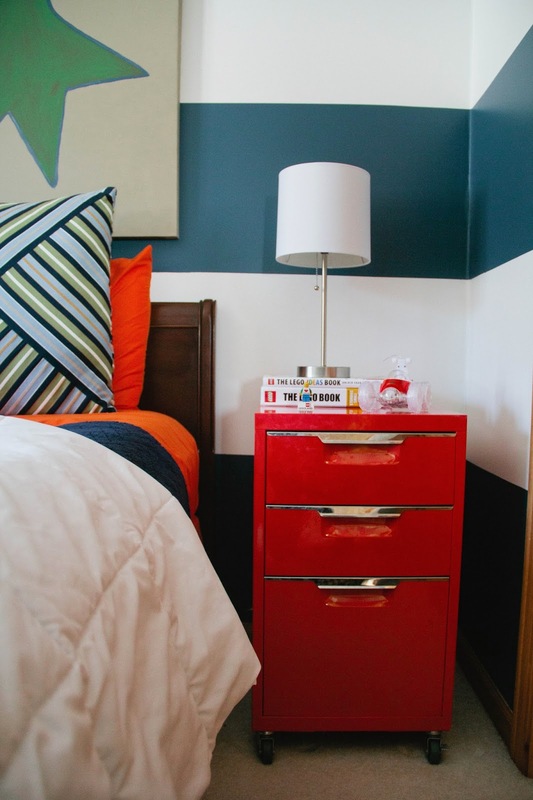 LOVE the bold stripes with the orange, and of course the Ikea light! The scale of your art is spot on, too! Thanks so much for sharing it at Best of the Nest! Wow, this space is stunning! I bet your boys are loving it! 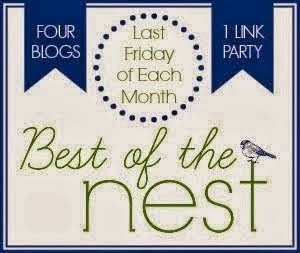 Thanks for linking up to our Best of the Nest party! Love everything about this room Stephanie! 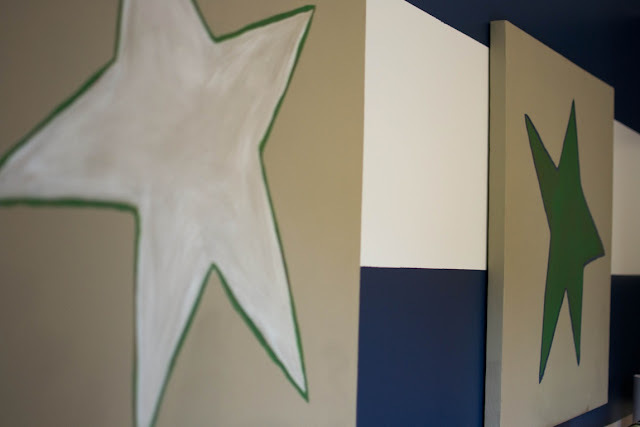 Those Target pillows were awesome finds - they really pull your whole room together - and I love your canvas star art. Glad you linked up to Best of the Nest! I just love this room. 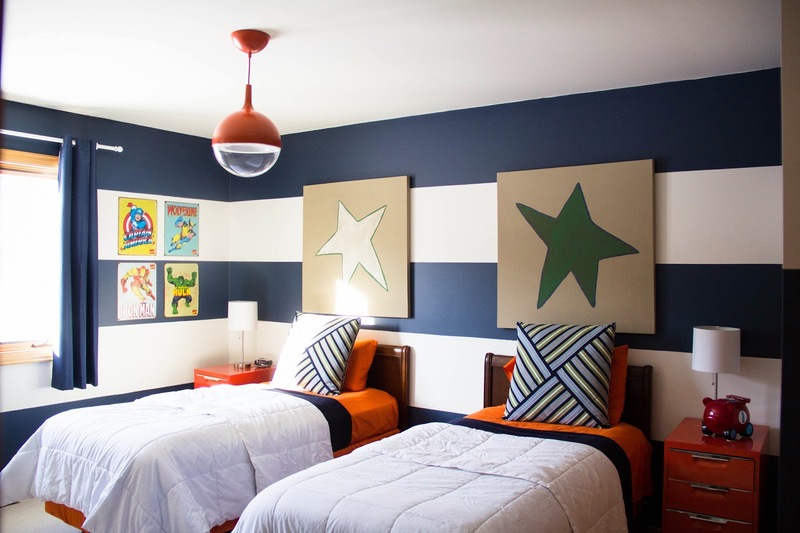 I am actually in the process of doing my step-sons room with blue and white stripes on the bedding and orange accents. You have really gave me a nudge to get my booty in gear! Love it. Thank you Desaree! Yes, such a fun room to do! There are some really great navy and orange pieces out there right now too!!! Have fun!